All of these are probably just fine for a college student. I would check the warranty both from the seller and the manufacturer, but at this price the laptop has become a disposable item. I always recommend backing up your critical data to a cloud service like dropbox . There are many free services now that giveyou 3 to 20GB of free cloud storage. Also, always check the weight on the laptop. Anything over 6.5 lbs can be a boulder to drag around. Lastly, DO NOT BUY THE VISTA OPERATING SYSTEM. Some of the lower pricesd units include Vista. I know that this is the new era of multiple devices. After Christmas we are alrady seeing the new iPad, the new Smartphone, and the new eReader. At these low laptop prices you can get almost everything you need in one box. 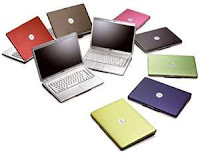 Once you have your new laptop ask at your campus Helpdesk about low prices on software. Never buy software with your laptop! lamost all colleges have great deals on software. The laptop price is great information to me!I appreciate the post!